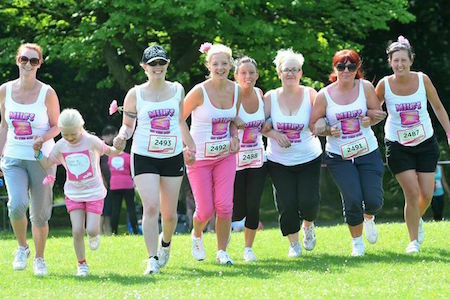 Manchester women are being urged to get the New Year off to a great start by signing up now to Cancer Research UKs Race for Life 2015. Manchester women are being urged to get the New Year off to a great start by signing up now to Cancer Research UK’s Race for Life 2015. Every week, more than 750 people are diagnosed with cancer in the North West. And that’s why Cancer Research UK is calling on Manchester women to fight back against this devastating disease by choosing to take part in Race for Life’s Pretty Muddy on Saturday, 11th of July.